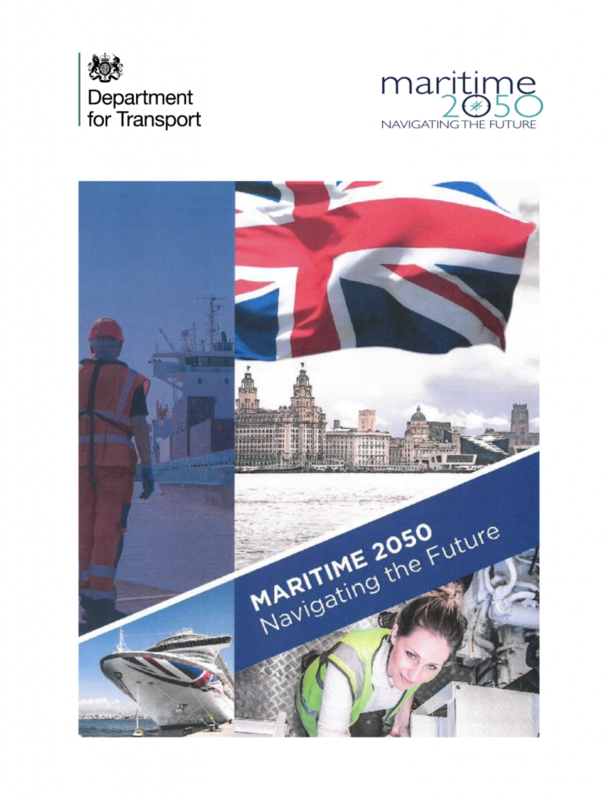 The British Ports Association has welcomed the Government’s Maritime 2050 strategy, published today by the Department for Transport. This sets out the Government’s maritime vision over the next three decades. BPA Chief Executive, Richard Ballantyne, said: We welcome this ambitious strategy and the Government’s confidence and aspirations for the UK’s innovative and important maritime sector. As an island nation with a proud maritime heritage it is important that Government is not complacent in setting out what it can do to support the sector over the next three decades by encouraging more young people to see the immense value in maritime careers and building and maintaining a business environment where our independent and commercially-run ports can continue to innovate and invest. Many of the measures announced are short term but will lay the foundation for a more stable and productive industry in the medium and long term. Whilst we note the lack of specific funding for some projects, we welcome the Government’s intent in taking forward some important projects including the full implementation of the Port Connectivity Study in England and the new ‘Port Economic Partnerships’, which we are keen to learn more about. We hope that these partnerships will offer a vehicle for turning the industry’s Port Enterprise and Development Zones into reality. We are also pleased to see some overlap with our own Port Futures programme particularly around smart and autonomous shipping and ports. We look forward to working with and supporting the Government as it builds on this strategy in the months and years to come. We are keen to make progress in the areas identified and get going on a range of issues, from promoting a more innovative planning framework to increasing diversity and mapping the seabed – which will support better environmental and planning decisions as well as facilitating growth in marine industries. The Strategy has a range of chapters covering the background of maritime sector, future/economic trends, the UK’s competitive maritime advantage, technology, people, environment, trade, infrastructure, safety and security & resilience. The document highlights the importance of the maritime sector and promotes it to the general public and other parts of Government. The BPA is keen to support this initiative in any way it can and build upon the foundations it lays. The industry will welcome the ambition and we are ready to work with Government as they gear up to try and meet all the commitments in the strategy, especially given much of the Government’s current focus is firmly on Brexit planning. The Department for Transport has also published long term UK Port Freight Traffic forecasts alongside the report, up to 2050. Maritime 2050 can be found here.